Now that stack of hubs and shafts go into the input drum. 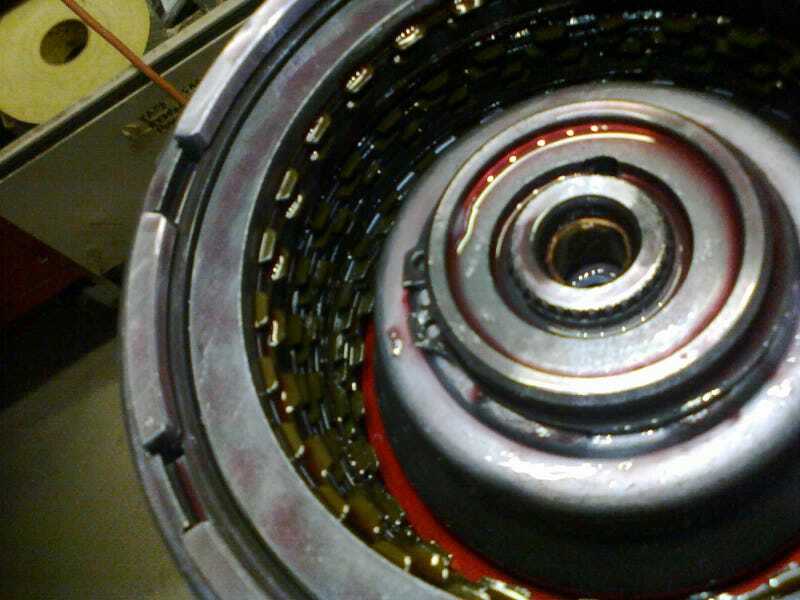 The UD hub (underneath the visible OD hub) gets worked down in with the UD clutch frictions. OD clutch parts (old frictions pictured). The OD frictions showed more wear than the others, but still had clearly defined grooves. Reverse clutch parts (old frictions pictured). Yup, just two frictions here. Input drum is now assembled!